Northern New Jersey wedding venues offer couples a variety of stylish locations for ceremonies, receptions, and more. 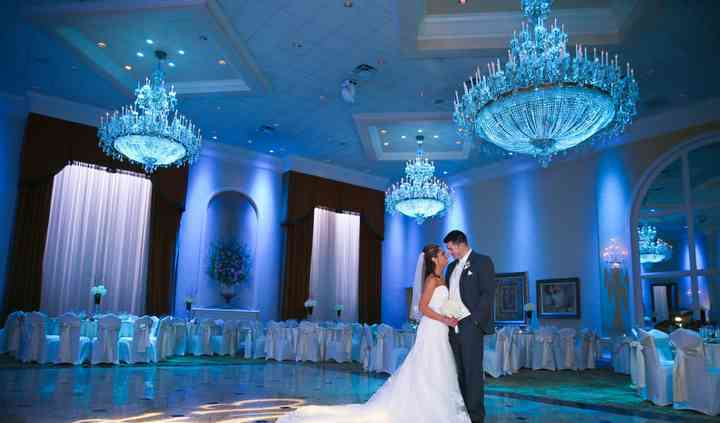 Northern New Jersey wedding venues are top picks for anyone looking for a classic event space. From...Read more elegant country clubs to jaw-dropping ballrooms, Northern New Jersey wedding venues easily set the tone for any kind of soiree. New Jersey is cut into two sections, the north and south. While the south is known for its beaches and casinos, Northern New Jersey is full of forests, lakes, and mountains. If you're looking to have a stunning scenic New Jersey wedding, Northern New Jersey is full of wedding venues to fit your every need. Based on location and geography, booking an outdoor or open air wedding venue should be a breeze! But not every couple wants an outdoor soiree, especially if you're looking to have a winter wedding. Other popular wedding venues in Northern New Jersey include: manor houses/ estates, ballrooms, hotels, and country clubs. If you and your fiancé(e) are looking to incorporate classical architecture into your wedding theme, consider looking at manor houses and estate wedding venues. Not only are they gorgeous but they provide multiple wedding locations for both your ceremony and reception. These are great wedding venues for the entire year. For a winter wedding, consider booking one or two rooms available for the ceremony and reception. During warmer months, consider having an outdoor or open air ceremony with a indoor reception venue or vice versa. This will allow guests to stay warmer or cooler depending on the time of year. 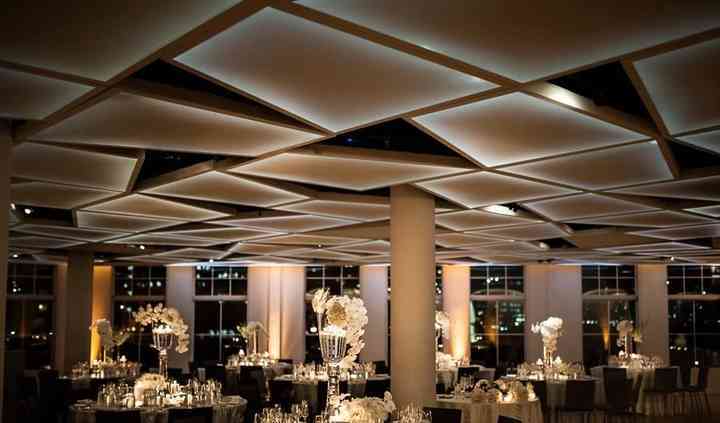 For those couples looking for more modern wedding venues, hotels and ballrooms are always a fabulous option. Since these wedding locations can be used for a variety of wedding and non-wedding events, they're essentially blank slates for you and your fiancé(e) to decorate in anyway you wish. Hotel and Inn wedding venues are also a great choice for couples inviting a large number of out of town guests. When all your guests are in one location, there is no need to spend extra money on transportation to and from your wedding locations. If you and your fiancé(e) are hoping for a wedding venue that's a little more out of the box, Northern New Jersey has several farm wedding venues as well as museums. For a perfect winter wonderland wedding, consider a ski resort for your ceremony and reception venues. Invite guests for the whole weekend to enjoy the slopes and celebrate your special day. As far as wedding prices, a Northern New Jersey wedding tends to cost couple's around $48,000, which is $19,000 over the national average. Don't worry if you're wedding budget doesn't look exactly like the averages as every wedding budget is unique as the couple planning. We're pretty sure it goes without saying that not all of your wedding guests will be local. For guests traveling to your Northern New Jersey wedding venue, there are a few options. Interstate 95 is the best driving option for east coast residence, since it goes from Maine to Florida. For guests who just don't like to drive or live too far for driving to be the best option, there are several airports to use depending on your wedding venue location. Newark Liberty International Airport and Teterboro Airport. If you're wedding venue is near Jersey City of Newark, Newark Liberty International is best for your guests. It's only about a 15 or 20 minute drive to Newark and Jersey City respectively. If your ceremony and reception venues are closer to Hackensack or Garfield, Teterboro is closest. If you and your fiancé(e) don't want to host your wedding at a hotel or inn venue, we totally understand, but that also means your out-of-town guests will need a place to stay for the duration of the festivities. 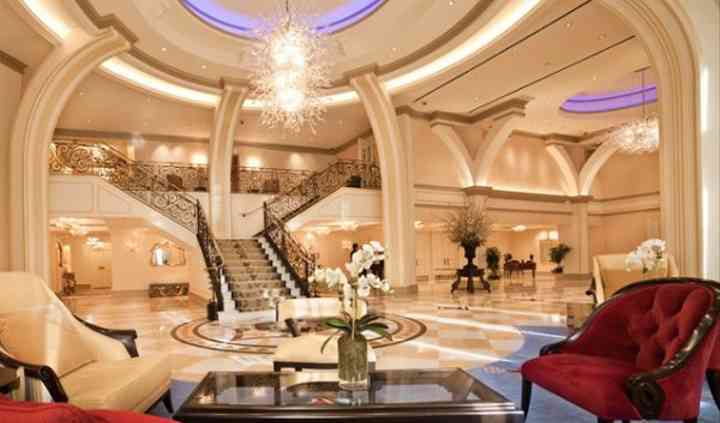 A night in a Northern New Jersey hotel will be about $112. Booking a large number of hotel rooms close to your wedding venue can be overwhelming. That's why you should consider this fantastic wedding hotel block service! Representatives will do all the hard work of finding the best rates for the number of rooms you need near your wedding locations. All you need to do is decide which option works best for you. While Northern New Jersey is known for scenic greenery and stunning landscapes, there are still some things to consider when booking a Northern New Jersey wedding venue. As it has a humid continental climate, the summers in Northern New Jersey are hot and humid while winters can be cold and wet with some snow. The warm season lasts from the end of May to the middle of September with the daily high temperatures averaging above 76 degrees. The hottest days can be expected at the end of July. If you're hosting at an outdoor wedding venue, make sure your guests can stay cool and comfortable. Misting tents and fans are always a great option as well as giving hand fans as wedding favors. They're both beautiful and useful! Since thunderstorms can be expected during the summer months, talk with the wedding venue about a backup space in the case of inclement weather. The cold season lasts from the beginning of December to the beginning of March with average daily temperatures below 47 degrees. The coldest days can be expected in January. This is also the time that snow will be most likely to occur. For winter weddings, patio heaters are a great option if you're looking to host at an open air or outdoor venue. Make sure guests know ahead of time to dress warmly and offer warm drinks during the ceremony. It's also important to talk to wedding venues about inclement weather and wedding insurance in the case your wedding can't be held on that specific day. Pro tip: Rain is most likely to occur at the end of April. And while we know rain isn't bad luck, if you and your fiancé(e) want to avoid it, don't book a wedding venue at the end of April. When you're ready to start your wedding venue search in Northern New Jersey, WeddingWire has all the tools you need to book the perfect venue.